It’s that time of year again, folkses! It’s St. Patrick’s Day! Well, tomorrow it is. This will be short and sweet and to the delicious point. This is the only reason we get excited about the holiday. Even more so than the green beer. The most delicious traditional dessert. You can booze it up or don’t. We didn’t because, honestly, you can’t beat our beer chocolate shakes. 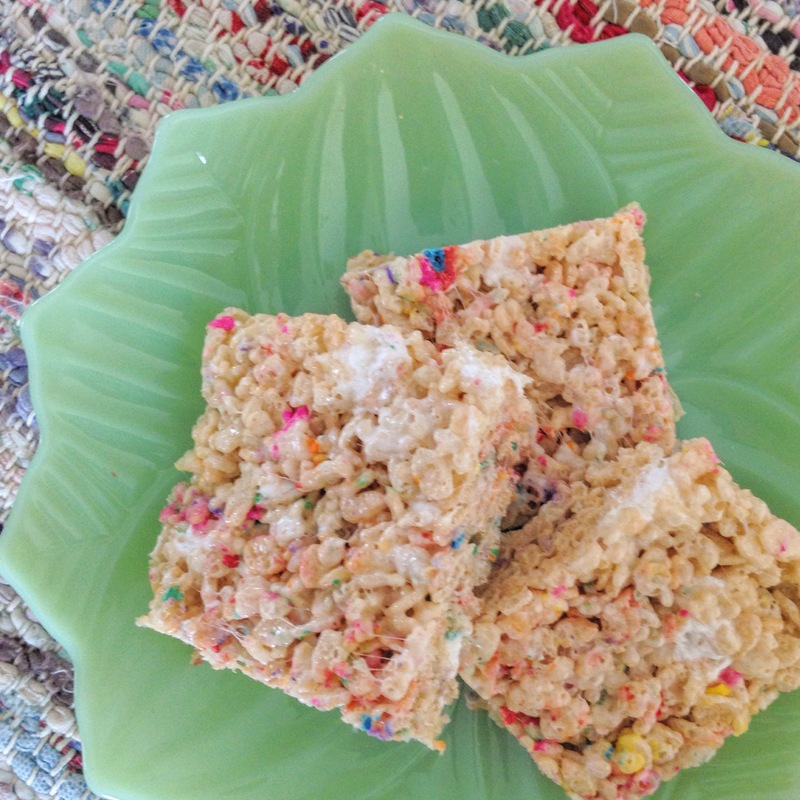 Click here for that out-of-this-world recipe! We’re not trying to toot our own bagpipes here, but it is seriously the absolute best concoction we’ve created, in our humble, yet mostly accurate opinion. 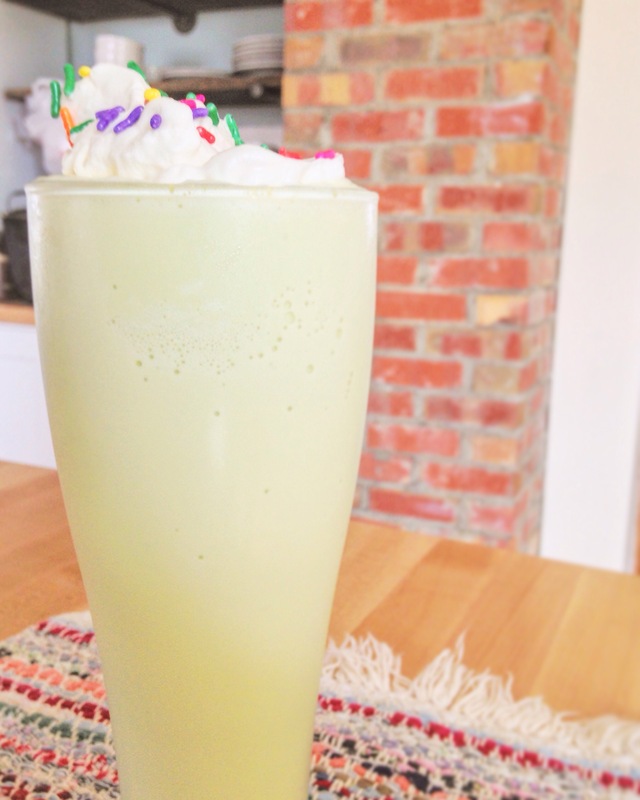 Anyway, you’re here for some shamrock shakes. Here it is! 1 cup of whole milk, more or less depending on how you like your shakes. Green food coloring, optional, we did not use any. You know, because we’re health conscious? Okay. We just were out of green food coloring. Blend first three or four ingredients until smooth. 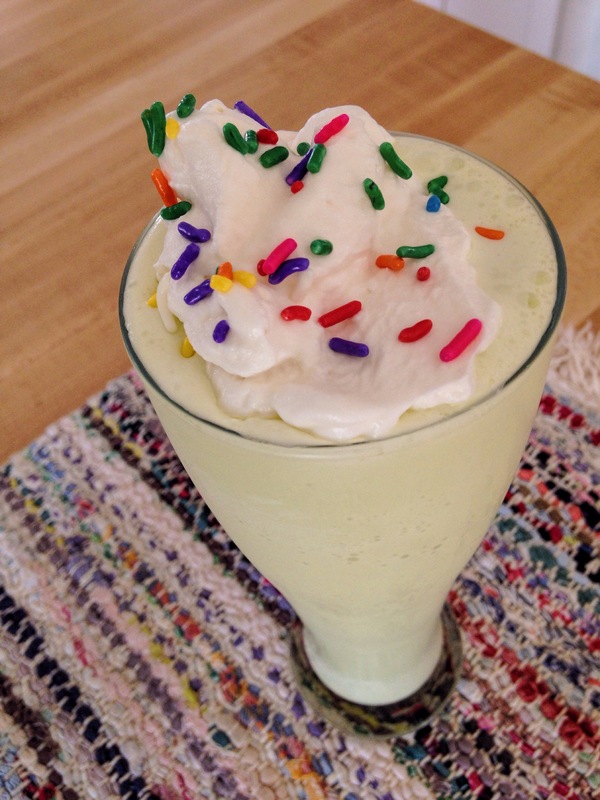 Top with whipped cream and sprinkles. 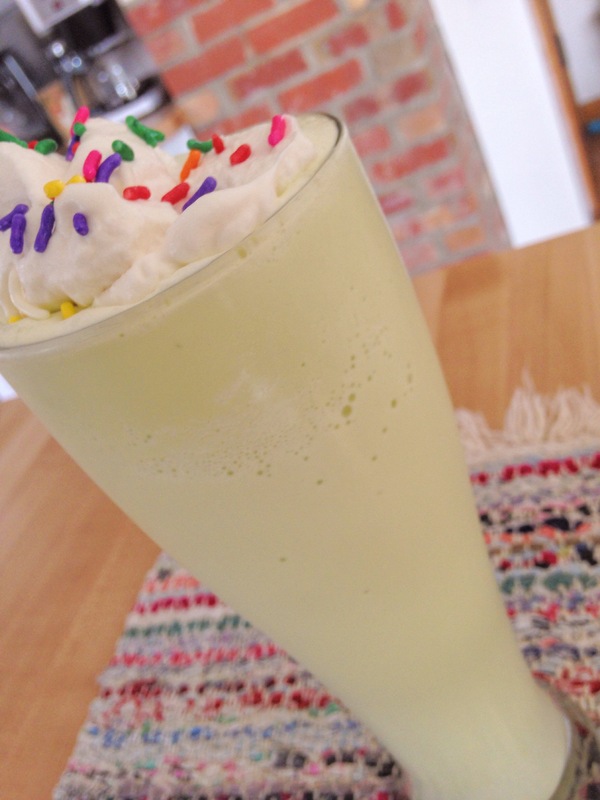 Track down a straw and enjoy immediately! 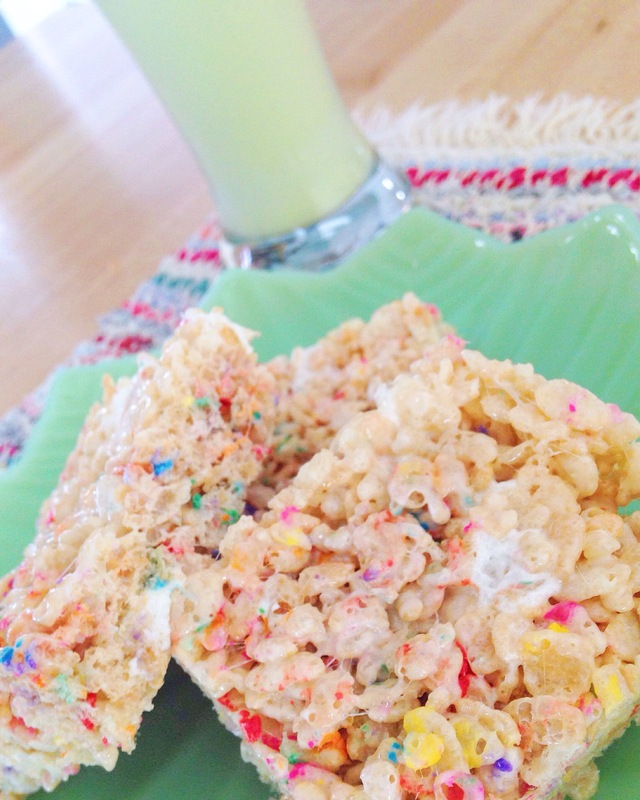 Oh, yeah, we threw in the extra sprinkles we had left into these Rainbow Rice Krispy Treats! If you have kids or are a kid at heart, these are for you! Here’s to consuming an uneccessary amount of green foods and beverages!